This December 1st marks World AIDS Day and there is good and bad news to report. First the positive news, those infected with HIV worldwide is 33 million, not the 39 million previously reported. However, the NY Times reports that the number of infected with the HIV virus who live in the United States may climb to 58,000 to 63,000 during the most recent 12-month reporting period. "A new report released this week (11/26) by the Washington, D.C., government says that about one in fifty people in the nation's capital has AIDS, and as many as one in twenty may have HIV, the virus that causes AIDS. 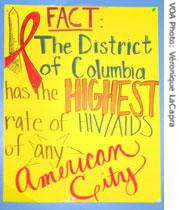 The annual rate of new AIDS cases in Washington, D.C., is over ten times the national average, and probably the highest of any city in the United States." ABC News claims it is about linking people to prevention programs. This of course, includes health education messages to reduce risky behavior, and these messages must be geared towards youth and adult who may have poor health literacy skills. This is just one of many examples why an Office of the National Nurse is needed to lead efforts to stop the AIDS epidemic, and other preventable conditions that wreak havoc on individual lives and their families, not to mention their financial security. The Board of Directors of the National Nursing Network Organization call on you to support the efforts to establish an Office of the National Nurse and we look forward to hearing from you. 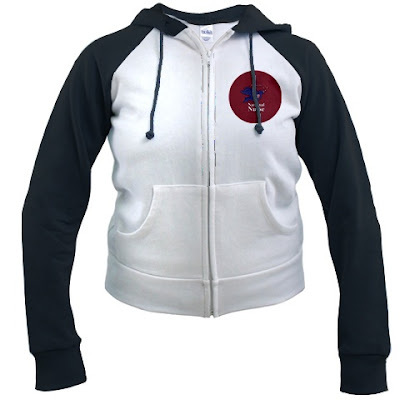 Visit the National Nurse Cafe Press store to find gifts for all the special nurses in your life. 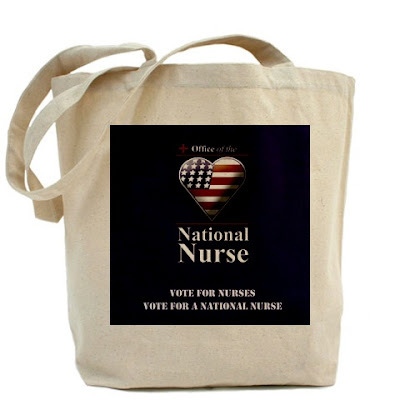 When you make a purchase, you will be supporting the efforts of grassroots nurses and supporters who are working diligently to establish an Office of the National Nurse. 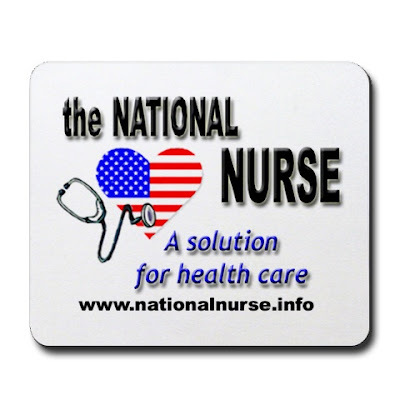 Please email Teri if you would like to be added to the data base to receive current information about the Office of the National Nurse Initiative or if you would like an article to submit to your organization's newsletter. I live in Hollywood, FL I work in Miami at Jackson Memorial Hospital in the Trauma/Burn ICU and I am studying for my MSN in Nursing Education at Nova Southeastern University located in Ft Lauderdale, Florida. I think it should be stressed that community service is a lifelong process. When students graduate they should give back to their community. That's when you know who cares or who is in it for the flexibility and pay. I have been a nurse for 17 years and I love doing community service. I saw a need in my community and I began volunteering teaching breast cancer prevention. Volunteering is easy, the materials and resources are there. It only takes up a few hours of my time but my work has helped my community tremendously. In addition to being a critical care nurse I became a community health and women's health nurse through my community service. Doing work like this has broadened my knowledge of nursing care. I know I will have more to give my students and I hope they continue to do work and volunteer in their own communities well after they graduate. The National Nursing Network Organization's Board of Directors would like to wish you and your families a healthy and happy Thanksgiving. Please remember our troops and their loved ones this holiday week. The U.S. Postal Service is no longer accepting letters or packages addressed as "Any Service Member" or "A Recovering American Soldier". Mail to "Any Service Member" that is deposited into a collection box will not be delivered. Instead of sending an "Any Wounded Soldier" letter or package to Walter Reed, please consider making a donation to one of the more than 300 nonprofit organizations dedicated to helping our troops and their families listed on the America Supports You website. We want to reassure our supporters that the NNNO Board of Directors has reached out on numerous occasions to the Quad Council (this body represents the APHA, ACHNE, ASTDN, and ANA) and many others who signed on to the opposition letter. We have contacted them through phone calls, emails, mailed letters, newsletters, and the website to share with them the current proposal, and will continue to do so. As Debra Anscombe Wood, RN states in National Nurse Debate Fuels Concerns the proposal to establish an Office of the National Nurse "has resonated with the public" including thousands of nurses. The article states the original bill did not make it out of committee, but failed to mention it did garner significant support and was co-sponsored by 42 members of the US House of Representatives. It is difficult to grasp that nursing organizations that champion use of evidence based practice, would fail to examine the most current language, adopted in August 2007, before drafting objections to the National Nurse proposal. Even a quick visit to www.nationalnurse3.blogspot.com would have revealed that their three “deep concerns” described in the Oct 2 letter had already been addressed. The unresolved issue remaining is that of actually re-titling the position of the CNO of the USPHS to be designated the Office of the National Nurse. This is considered crucial because there are so many existing “chief nursing officers.” We seek the title "National Nurse" because it will be unique and recognizable with national prevention efforts. At the same time the National Nurse would serve to inspire others to enter nursing and portray a “real” nurse, not what the entertainment industry chooses. A National Nurse could help to address Webb’s concerns about the “chronic, looming, increasingly severe nursing shortage”, especially in health promotion roles of the Public Health and school nurse. Traditionally, nurses work in teams and collaborate with others to reach the best patient outcomes. The National Nursing Network Organization is committed to continuing our efforts to reach out to the national nursing leaders to collaborate on moving nursing into a leadership role in health promotion and illness prevention in every aspect of our society from the rural community to the national level. We continue our attempts to dialogue with stakeholders and to work towards consensus, understanding, and compromise. Our Board of Director’s current thinking is very much aligned with the Quad Council and members of the USPHS, and their concerns are being addressed. Last month a very important research report was published: An Unhealthy America: The Economic Burden of Chronic Disease -- Charting a New Course to Save Lives and Increase Productivity and Economic Growth authored by Ross DeVol and Arment Bedroussian from the Milken Institute. 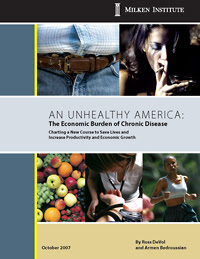 This report reviews in depth the crippling financial impact of chronic disease on our nation's economy both in treatment and in lost worker productivity and makes predictions for the future taking into account the most common chronic diseases- cancer (broken into several types), diabetes, hypertension, stroke, heart disease, pulmonary conditions and mental disorders. More than 109 million Americans report having at least one of the seven diseases, for a total of 162 million cases. The total impact of these diseases on the economy is $1.3 trillion annually. Many in the public health arena are working diligently to turn these numbers around. There are several strategies that deserve further examination to improve the health of Americans. Nurses themselves are proposing one innovative concept. A grassroots movement supported by a growing number of our nation's nurses is calling for Congress to establish of an Office of the National Nurse. By designating the Chief Nurse Officer of the USPHS to officially become the country's National Nurse, Congress will provide an impetus for promoting the Medical Reserve Corps through which volunteer nurses and other health workers within each community will be sanctioned to deliver and reinforce messages of prevention in their own home towns. It is likely that developing this "Prevention Promotion" network of volunteers could have a huge impact on reduction of preventable disease. Nurses exist in all communities; they are repeatedly selected as the profession the public trusts most. 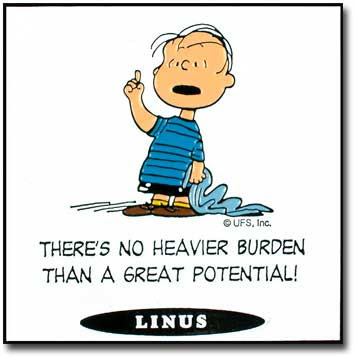 And nurses already have the skills, knowledge and science based "know how" to promote healthier behaviors. This strategy, which would help shift our nation to focus on prevention, has potential for tremendous positive impact. Couple that with the fact it would not require vast funding or resources, leads many nurses to become enthusiastic and say it is certainly deserving of strong consideration and support. Welcome to NNNO Board Member Nurse Attorney Edie Brous! Edie graduated in 1976 with her RN degree from Grace Hospital School of Nursing (Detroit, Michigan). She went on to receive her BSN from Wayne State University in 1978. 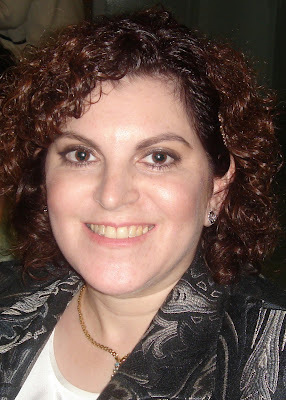 Edie believes in life-long learning and pursued her MS in Critical Care Nursing and MPH from Columbia University in 1995. Edie graduated from Fordham University with a JD in 1999. Edie has been admitted to the state courts in New Jersey and New York, the US District Court in the Southern and Eastern districts of New York, and the United States Supreme Court. In addition to practicing law, Edie belongs to the New York State Bar Association where she is a member of the Mass Disaster Committee, the New Jersey State Bar Association, the New York County Lawyers Association, the American Health Lawyers Association, the American Association of Nurse Attorneys, the Association of the Bar of the City of New York, the American Association of Critical Care Nurses, the Emergency Nurses Association, and the National League for Nursing. Edie serves on the Board of Directors for the National Nursing Network Organization and the Center for Nursing Advocacy. Her term of office to serve on the Board of Directors for The American Association of Nurse Attorneys begins in January 2008. Edie is the contributing author and co-editor of The American Association of Nurse Attorneys Nursing textbook in progress. She is a peer reviewer for Lippincott Williams & Wilkins Publications regarding legal aspects of nursing practice. Edie is a contributing editor on legal issues for the American Journal of Nursing. She is an adjunct faculty at Mercy College and teaches Administrative Law. 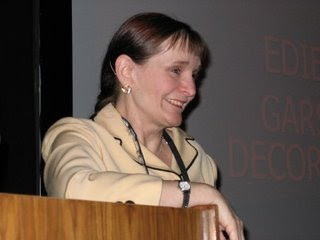 Edie is also a Seminar Faculty American Healthcare Institute – Legal Issues for Nurses and she is the Legal Editor for the Emergency Nurses Association Core Curriculum. We are grateful to have this accomplished and talented nurse attorney on our Board of Directors and are appreciative for her advocacy and commitment for establishing an Office of the National Nurse. All of the Board of Directors bios can be found at Our About Us webpage.